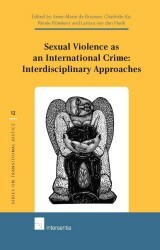 The issue of reparation for victims of gross and systematic human rights violations has given rise to intense debates at the national and the international level. 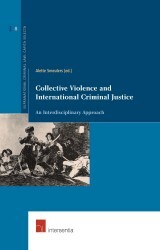 Discussions particularly arise in post-conflict situations characterised by serious violations of human rights, such as genocide, crimes against humanity, war crimes, and other forms of injustice of the past. Crucial questions include: what harm inflicted to victims warrants reparation? when and how to repair the harm? who is eligible for reparation and who has the duty to repair? These and other questions raise many challenging issues for theory and practice. maart 2006 | XIX + 522 blz. Over the last decade, the issue of reparation for victims of gross and systematic human rights violations has given rise to intense debates at the national and the international level. Discussions particularly arise in post-conflict situations characterised by serious violations of human rights, such as genocide, crimes against humanity, war crimes, and other forms of injustice of the past. Crucial questions include: what harm inflicted to victims warrants reparation? when and how to repair the harm? who is eligible for reparation and who has the duty to repair? These and other questions raise many challenging issues for theory and practice. 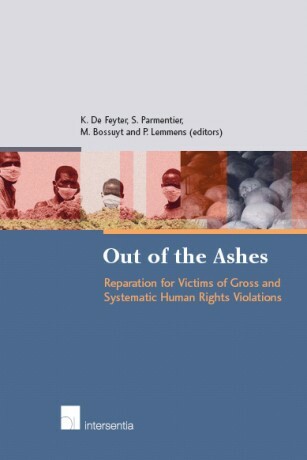 This volume contains the contributions presented at an international conference in Brussels, in February 2005, on the right to reparation for victims of serious human rights violations. It also includes the final report of a research project undertaken jointly at the Universities of Antwerp (UA) and Leuven (K.U.Leuven) between 2000 and 2004 on the right to reparation in international law for victims of gross and systematic human rights violations, both from a legal and a socio-political perspective. 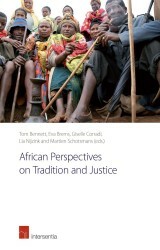 The present volume is aimed at academics, policy-makers, national and international courts and tribunals, the legal professions, and civil society at large.